At nearly 30 years of age, the Playhouse is showing its age and, quite simply, things are beginning to wear out, but more importantly the building hasn’t kept up with our aspirations. The new theatre will be accessible to everyone; will have an entrance that embraces our city; will be versatile, enabling us to stage and create diverse work across three scales with the inclusion of the Bramall Rock Void Studio, and will be able to generate more of its own income, reduce costs and cut our impact on the environment. Whereas at the moment wheelchair users have a convoluted route via lifts to get into our auditoria, in the new building they will be able enter the building via one of our two new entrances without negotiating any lifts straight into both the Quarry and Courtyard. There will, however, also be new, larger lifts to accommodate all our customers. We have been building demand for a studio theatre with our Furnace Festival programme which supports and showcases artists at all stages of their career and all stages of productions. The Bramall Rock Void now offers artists and audiences a permanent, flexible and contemporary space within our theatre to experience both the making of and watching new work. Throughout the building there will be: a new restaurant and bar; improved facilities including baby changing and family friendly area; upgraded seating within both theatre including an extra 50 seats in the Courtyard and 100 in the Quarry including new accessible positions for wheelchair access; a new city-facing entrances with lifts to all levels within the theatre. The Executive Board of Leeds Council met on June 27 to consider a slight increase to the overall budget to £15.8m. Of that £15.8m, there is just under £500,000 left to realise the full project. 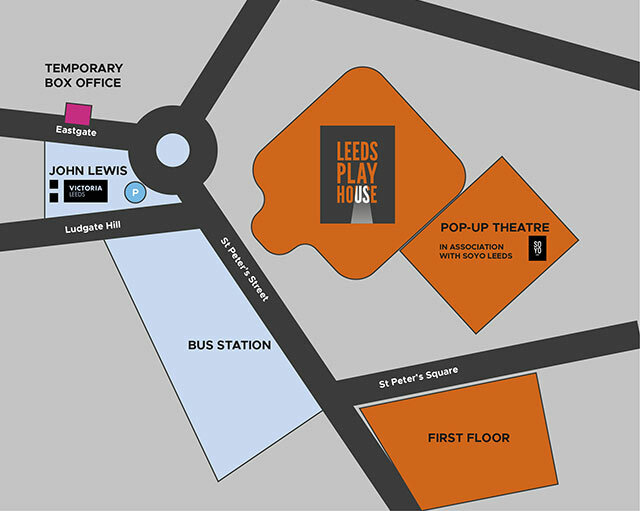 The project has secured support from Arts Council England’s, Leeds City Council, alongside major donations from The Liz & Terry Bramall Foundation, plus the Playhouse’s own contribution. We are also delighted to confirm Irwin Mitchell, SOYO Leeds and Moda as Principal Capital Partners, providing vital support for this landmark redevelopment. The early commitment of the Playhouse’s long-term corporate sponsors is a really important seal of approval for our theatre’s future, both in regards to their financial contribution and in helping the theatre to engage more closely with the wider business community, to demonstrate the importance of the arts for a thriving city and economy. But we’re not quite there yet … and we need your help. On the 22nd June we launched our final public fundraising campaign. To find out how you can support us in reaching our goal please click here.